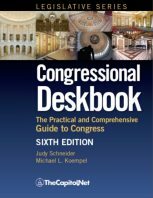 The Congressional Deskbook, now in its Sixth Edition, explains the legislative and congressional budget processes along with all aspects of Congress. The Training Edition of Congressional Deskbook or Congressional Procedure can be included as part of the program materials in our public and custom Congressional Operations Briefing - Capitol Hill Workshop. 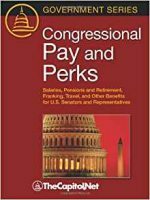 This comprehensive guide to Congress is ideal for anyone who wants to know how Congress really works, including federal executives, attorneys, lobbyists, media and public affairs staff, government affairs, policy and budget analysts, congressional office staff and students. 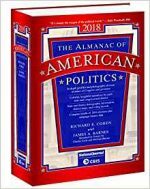 As the name Congressional Deskbook implies, this book is meant to be kept close at hand for answering the variety of questions that arise daily in monitoring, interacting with, and studying Congress. The book is organized for daily use in answering questions, but it may be read in sections, by chapters, or in its entirety, as the reader chooses. The sixth edition was extensively revised to reflect significant changes on Capitol Hill since the fifth edition and also to reflect changes in Deskbook readers' needs and their suggestions. We revised and reorganized chapters. 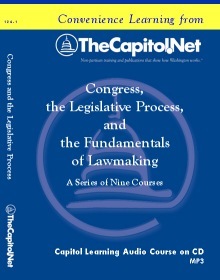 For example, Chapter Three was completely rewritten to present the extensive changes in lobbying and ethics laws in the last several Congresses, providing the government relations professional with the necessary information to interact with counsel in planning and implementing government relations activities, and providing government relations professionals and members of Congress and congressional staff alike with essential information on the ethics regime in which representatives and senators work. Regarding changes in Deskbook readers' needs and their suggestions, when we wrote the first edition of this book in 1999, the World Wide Web was still new and print was still the dominant source of congressional information. Government relations tools online and software were still taking shape, and congressional offices still dealt largely with paper letters, documents, and records. Webcasting was unknown on Capitol Hill. That was then. Today, the congressional information world and online government relations management is technologically much more sophisticated, and congressional offices work largely in an electronic environment, with few items still existing exclusively in print. Most importantly, Deskbook readers are savvy and sophisticated workers in this electronic environment. We no longer perceived a need for the chapter on private and government information providers and electronic research tips found in previous editions of the Deskbook, and dropped it from the sixth edition We reorganized monitoring information in the Deskbook, so that, for example, key components of former chapters on the Capitol complex and on monitoring and researching Congress were combined in a new, targeted Chapter Eleven on Viewing and Visiting Congress. Chapter One attempts to create an image of what it is like to be a member of Congress. It describes the competition that imbues every aspect of the institution and the fragmented life of a member. Chapters Two and Three guide the reader through some of the major pressures affecting members of Congress. 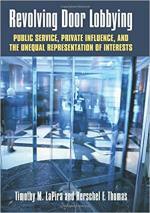 These pressures come from campaigns and elections, lobbyists, and the ethics environment. 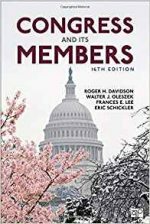 The chapters provide an overview of the laws and congressional rules that affect members, staff, and the individuals who interact with them. Chapter Four explains the support structure of Congress. It identifies components of the expense allowance system, staff positions and responsibilities, and the work of support offices. This chapter orients the reader to congressional staff roles. Chapter Five describes the organization of Congress. It addresses not only the structures of the committee system and of the leadership hierarchy, but also how committee assignments are made and leaders are selected. It describes the early organization activities of the House and Senate following a general election. Chapter Six describes the legislative process in detail. It explains hearings and committee markup strategies and methods of obtaining floor consideration of legislative initiatives. Amendments between the chambers and conference procedures are explained. The chapter describes options available to leaders and members throughout the legislative process. Chapter Seven demystifies the federal budget process. It includes discussion of the president's role in budgeting, the congressional budget process, authorizations, and appropriations. It explains the terminology, concepts, and procedures of the budget process, such as reconciliation. Chapter Eight discusses procedures and powers in Congress's relations with the executive, the judiciary, and the states and localities. It also explains some of the ways in which Congress deals procedurally with defense and foreign policy. 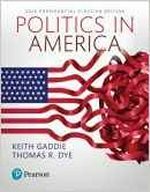 Topics in this chapter include confirmation of presidential appointees to executive and judicial posts, the role of legislative history, fast-track procedures, the War Powers Act, alternative procedures for selection of a president and vice president, constitutional amendments, and unfunded mandates. Chapters Nine and Ten identify and explain the use of congressional documents. Subjects include the forms and versions of legislation, laws and implementing executive documents, official rules and procedure manuals, and party and administrative publications. Chapter Eleven guides the reader in viewing the House and Senate in session on C-SPAN, and also guides the reader around Capitol Hill so that the visitor might orient herself before a trip to the Capitol or one of the congressional office buildings. This chapter also includes a checklist for tracking legislative action and tips on communicating with members and committees and their staffs. 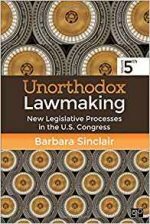 A case study in Chapter Twelve ties the legislative process, legislative documents, and other topics in the book together as it takes a measure enacted into law in the 106th Congress through the legislative steps from inception to public law. Document excerpts are displayed, and explanatory texts and annotations accompany each excerpt. A cumulative, expanded glossary complements the individual glossaries and definitions that appear in individual chapters. All of the web sites listed throughout the book are cumulated in a table. This list is followed by an index to the book. 6.113 Who Is Allowed on the House Floor? 6.192 Who Is Allowed on the Senate Floor? 7.00 Introduction: Congress's "Power of the Purse"
7.01 Congress's Constitutional "Power of the Purse"
Judy Schneider is a specialist on Congress at the Congressional Research Service, a department of the Library of Congress, and an adjunct scholar at The Brookings Institution. She worked previously for Senate and House committees, including the Senate Select Committee to Study the Senate Committee System. Ms. Schneider was selected as a Stennis Fellow for the 108th Congress, and received the Women in Government Relations Distinguished Member Award in 2004. Ms. Schneider is a frequent speaker and lecturer on Congress and legislative procedures. She holds bachelor's and master's degrees from The American University. Michael L. Koempel is a senior specialist in American national government at the Congressional Research Service, a department of the Library of Congress. He worked previously for Congressional Quarterly Inc., and on the staffs of a U.S. representative and a state governor. Mr. Koempel holds a bachelor's degree from Georgetown University and a law degree from The Catholic University of America, and is admitted to practice law in the District of Columbia. Robert Keith, who worked at the Congressional Research Service from 1974-2010, was a specialist in American national government. He specialized in legislative procedure and the federal budget process, focusing particularly on the development and consideration of budget resolutions, reconciliation bills, authorization and appropriations acts, revenue and debt-limit legislation, and proposals to change the budget process. He now consults on the budget process and other issues of federal governance. The views expressed in this book are those of the individual authors. They do not represent the views of their employers or of TheCapitol.Net. 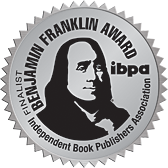 "In this book we share our observations and experiences with readers who study Congress, who work there as members or staffers, who cover the institution as journalists, or who try to influence it as advocates, lobbyists, or citizens. Scores of books and studies about Congress are published each year. Some address legislative or budget procedures. Others detail documents that are generated on Capitol Hill or catalogue available Internet resources. Some explore an aspect of congressional history, or tell the story of Congress through a biography, voting patterns, leadership styles, or individual legislation. This book owes much to earlier books and studies. In some ways, it is a synthesis of these publications; in other ways, it is a complementary volume. 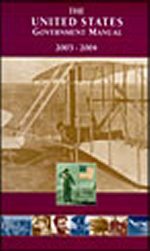 We decided that another book on Congress was not superfluous, but should provide as much practical information on the operations of this institution as possible in one volume. 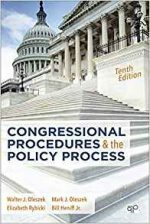 In this book, we cover legislative, budget, and special procedures; how various procedures relate to each other; the forms and impact of political competition on Capitol Hill; overviews of the election, lobbying, and ethics laws and rules that regulate congressional behavior; the work of congressional, committee, and administrative offices; and the variety of congressional documents. " Have a suggestion for the Congressional Deskbook? 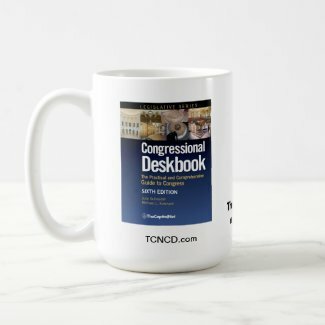 If you have a suggestion for a change or addition to a future edition of the Congressional Deskbook, please contact us or complete our online suggestion form. Find Congressional Deskbook in a library near you. "The Congressional Deskbook is almost too good to be true. The breadth and depth of its coverage of Congress and of the institution's innumerable rules and practices are truly extraordinary. Most importantly, such detail is presented in an exceedingly accessible and efficient fashion. I have no doubt that the Deskbook will become an indispensable teaching tool and reference volume in my teaching and research." "It is hard to imagine an interested citizen or policy practitioner who would not learn something from the Congressional Deskbook." "The Congressional Deskbook is a treasure trove of practical information on the U.S. Congress. 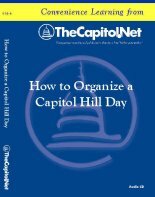 It can be used effectively as a basic text on the operations of the legislative branch and as a reference guide for answers to simple and complex questions about the first branch of government. An essential resource for those working within, reporting on, lobbying, or just trying to understand our very complicated and essential national legislature." "The Congressional Deskbook puts between two covers what would take most people hundreds of hours to track down separately (let alone decipher). It pulls it all together by using concrete examples and documents to make things easily understandable--no mean feat given the labyrinthine ways of Congress." 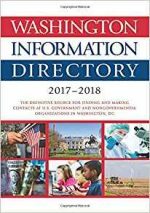 "The Congressional Deskbook is the perfect one-stop reference tool for anyone seeking information on the legislative branch of government. Beyond the valuable information about how Congress works and how bills become laws, the Congressional Deskbook takes the reader inside the Capitol, explaining the customs and power structure. 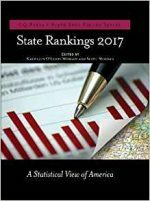 If you want to know how House and Senate leaders are chosen or if you are searching for a list of those who have lain in state or in Honor in the Capitol Rotunda or how federal spending decisions are made, this reference book has all that plus more." "I first came across the Congressional Deskbook in the spring of 2004 and can't imagine getting along without it in the future. The Deskbook contains an amazing amount of highly useful information for anyone who deals with Congress or wants to fully understand its workings. 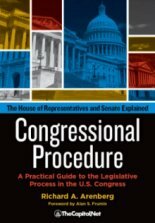 It has clear and pertinent information on legislative procedure and organization, how to contact members of Congress, committees, and subcommittees, and includes a chapter on the budget process, a chapter on "How to Monitor and Research Congress," and a comprehensive glossary of legislative terms. The Congressional Deskbook is of great value to academicians, public administrators at all levels of government, politically engaged citizens, lobbyists, and policy advocates. 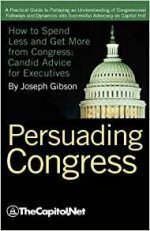 I know of no other book that explains the people, politics, policy, and procedures of Congress so completely, clearly, and skillfully. The authors are to be commended and thanked for giving us an all-in-one-place fabulous guide to Congress." 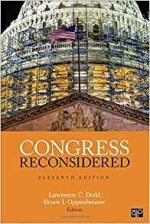 "[A]n excellent resource for individuals seeking to learn or expand their knowledge of Congress and our system of lawmaking. What's best about the book is that it puts so much valuable information into one place and provides hundreds of additional resources, should the reader desire to learn more." "No personal, professional, academic, or community library political science collection can be considered complete without the inclusion of the Congressional Deskbook...."
"The Deskbook is a highly readable, timely and comprehensive resource on Congressional operations and procedures. It is a consistently reliable tool for any student of Congress and any legislative practitioner, regardless of their level of experience."